For the third year in a row, Mazda has been awarded the “Best Car Brand” award by U.S. News & World Report. Mazda’s lineup was praised for offering engaging driving dynamics, accommodating seats, attractive cabin designs, and user-friendly technology. To determine the award winners, U.S. News Best Cars averaged the overall score of all the given brand’s products in each award class. The brand with the highest overall average score was named the winner in the category. The overall scores come directly from the U.S. News Best Cars rankings, which are based on a combination of the consensus of the automotive press, safety scores and reliability data. Every car in Mazda’s lineup has elegant KODO design and advanced safety technology to give the driver more confidence behind the wheel. 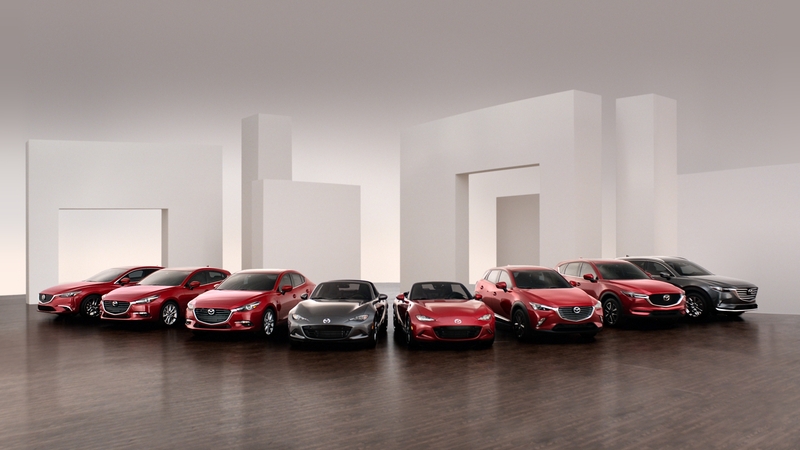 Meticulously engineered and artfully crafted, Mazda’s lineup of award-winning cars are a study in what happens when an automaker obsesses over the minute details, constantly seeking to redefine the industry’s standard of excellence. From body construction and engine technology, to the chassis and transmission, Mazda’s innovative, lightweight SKYACTIV Technology provides more performance with more efficiency, deriving greater enjoyment from driving. For more information on Mazda vehicles, please visit InsideMazda.MazdaUSA.com/newsroom.